XLrator Media has acquired North American distribution rights to the AAU basketball documentary feature “At All Costs” and will release the film this Fall on its PACE multicultural label, it was announced today. Written and directed by Mike Nicoll, the documentary follows two of America’s top high school basketball prospects in their pursuit of success at the next level. The film follows Parker Jackson Cartwright (Los Angeles) and Gabe York (West Covina) as they play their final summers of AAU and prepare for the college level, as well as Etop Udo-Ema as he attempts to coach his Compton Magic to another AAU championship. Both Parker and Gabe participated in this year’s NCAA Men’s Basketball March Madness Tournament as members of the Arizona Wildcats. York is in his senior season. “At All Costs” is a fascinating and revelatory documentary that takes viewers behind the curtain to see the tremendous training, dedication and sacrifices required by the players, their families and teams to make it in the highly competitive world of AAU basketball,” said XLrator Media CEO Barry Gordon in a statement. For any kid with dreams of playing professional basketball, the road to the NBA starts with AAU. “At All Costs” explores how the AAU basketball machine has professionalized youth basketball in America. As the ‘business of basketball’ balloons into a multi-billion dollar industry, the stakes for finding ‘The Next Big Thing’ have never been higher. The film follows blue-chip recruits, their families, and their AAU programs as they travel the country playing in marquee, life-changing events. 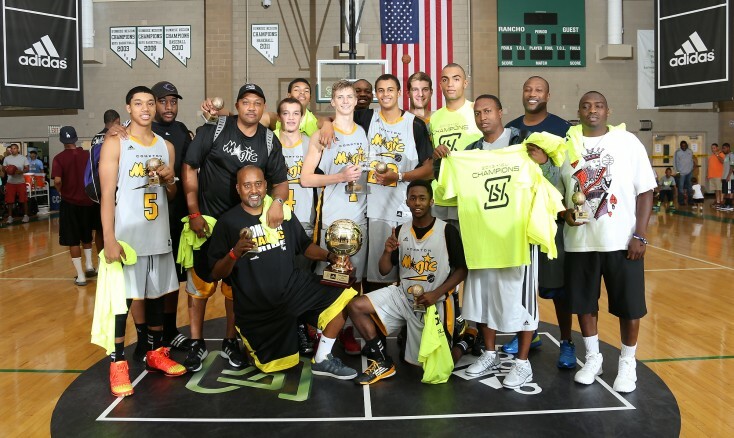 “AAU has assumed a vital role in the basketball culture at every level, from high school to college to the Pros. Every summer the nation’s best players travel all over the country to play in front college and even NBA scouts – it has become an indispensable component of achieving success in the basketball world,” said Etop Udo-Ema, CEO of one of Adidas’ premiere AAU teams, The Compton Magic. Ian Ward, Mike Nicoll and Nick Henry of New MAN Media produced the documentary. The deal was negotiated by Barry Gordon and Robert Patla of XLrator Media with Mike Nicoll on behalf of the filmmakers.